As my children have begun reading on their own we've switched up the bedtime story routine. Now instead of my simply reading a story to them before they go to sleep, one night I'll read a story to my daughter than move over to my son's room where he reads one to me. We alternate the next evening with my reading a story to my son than my daughter reads one to me. 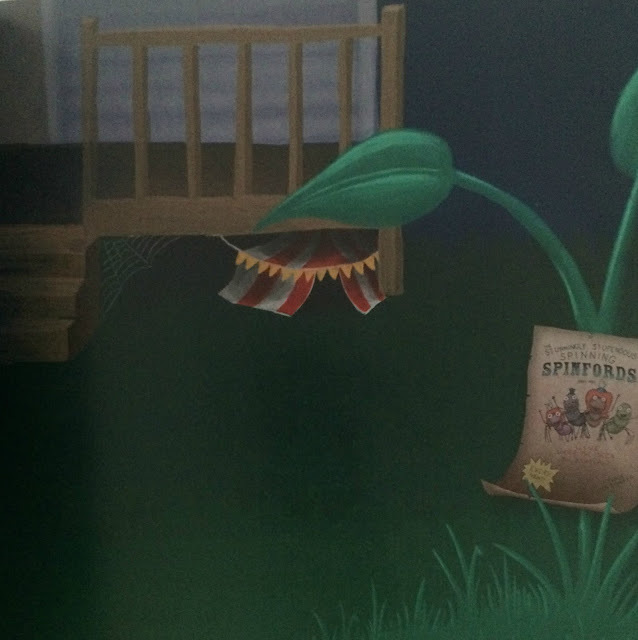 The last few nights I've read to each of my twins the children's book THE SPINFORDS written by AnnMarie Martin and illustrated by Stevie Hannigan then they've each taken turns reading it back to me on different evenings when it was their turn to read aloud at bedtime. 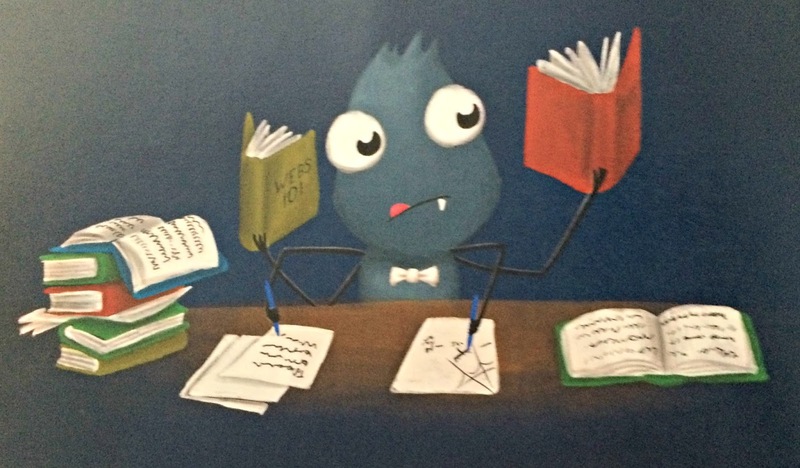 When it comes to THE SPINFORDS, readers learn that you can't always teach a new spider old tricks ... and that is OK! In the story, the Spinford family is a group of spiders who have for generations performed a circus act where they spin beautiful webs portraying images of creatures and landscapes. They've been doing the same old routine for years but still continue to have big audiences attend the circus every night. When their youngest son, Salvatore, joins the act though he doesn't want recreate the classic images the family is known for producing but rather wants to impress audiences by creating webs featuring intricate abstract and geometric patterns. The family becomes angered and embarrassed that Salvatore is straying away from their old tricks that are a proven success bringing Salvatore to tears. With the help of his grandfather and cousin, Salvatore obtains the confidence to show off his unorthodox webs by providing a surprise closing act at one of the Spinford's shows. 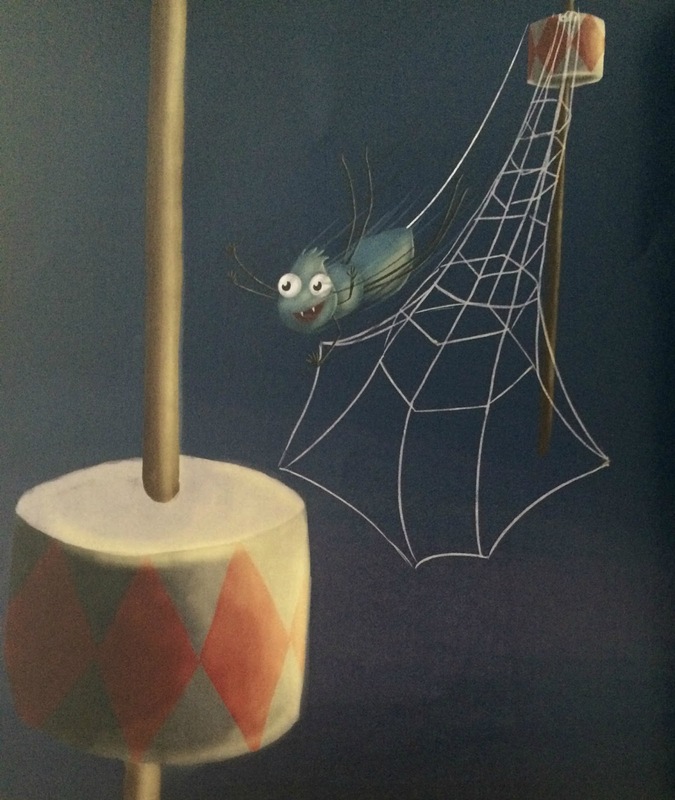 At first his parents and siblings are horrified at the spectacle that Salvatore is putting on, but then notice that the audience is amazed by the unusual web designs that the young spider is creating before them. The spiders realize that just because someone may do something in another way than they normally do it doesn't make him or her wrong or bad...just different. 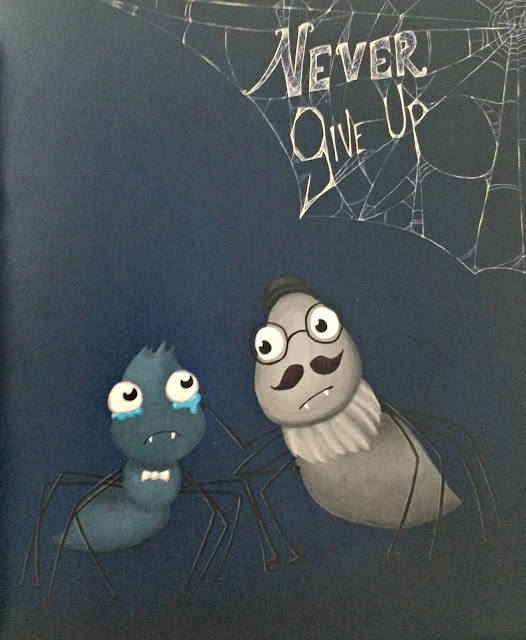 The book does a nice job of promoting the value of self-confidence and teaching children that just as every spider web is unique so is each person which is a wonderful and beautiful thing. It encourages youth to embrace their uniqueness to take pride in themselves and aspire towards making the world a better place. Salvatore's experience imparts upon children the importance of having the confidence to be yourself no matter what. THE SPINFORDS also highlights the value of embracing diversity and tolerance towards new ideas and ways of doing things within our society. For children, fitting in to the uniformity of your friends and family is often a very big deal. Any parent has probably witnessed this in the most basic sense of a child trying to decide what clothes to wear to school or when going out with friends so they fit in and feel comfortable around their peers. It is easy to forget as adults how strong the pressure to not be different can be as a child. THE SPINFORDS shows children who may be confronted with much more significant circumstances where they are different from others around them because of race, gender, religion, disability, physical features or a variety of other factors that being different is nothing to be ashamed of. It also reminds us all, parents and kids alike, that providing empathy and encouragement to others is important because as author Ann Marie Martin wonderfully puts it "we all need some help weaving our own webs sometimes." THE SPINFORDS is available to purchase on Amazon. For more information about the book, please visit www.thespinfords.com. Also have some fun with a special child in your life creating his or her own unique Salvatore with this coloring page.